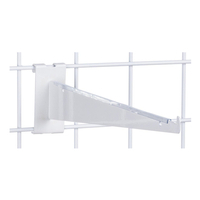 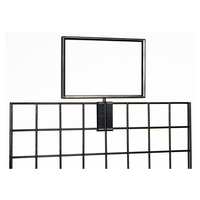 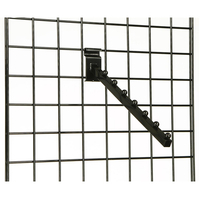 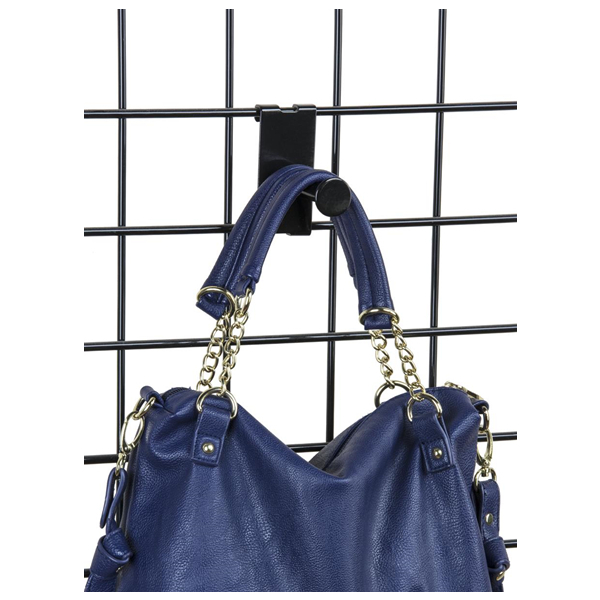 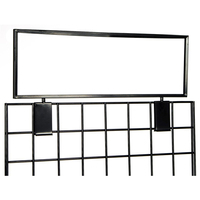 The gridwall single garment display requires no hardware or tools for mounting to panels. 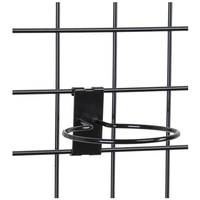 Match this accessories hook to one of the grid walls of the same color on this site to create a dynamic store fixture! 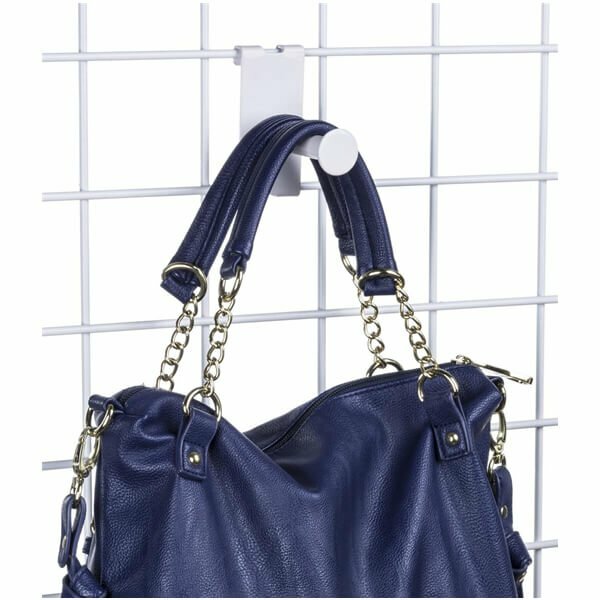 Merchandise can be hung on this 3” long clothing gridwall display that keeps garments secure from slipping off with a 1” diameter ball point. 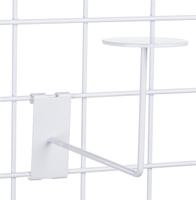 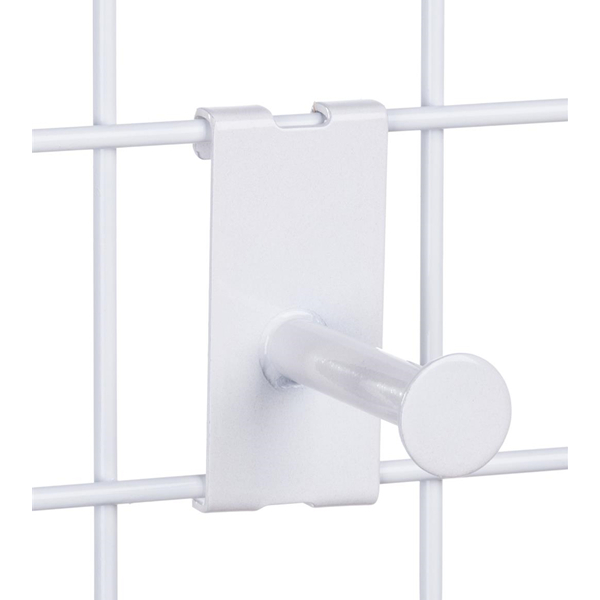 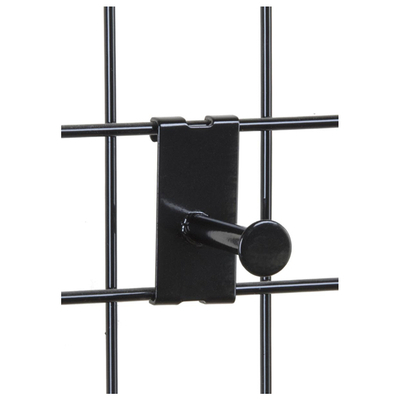 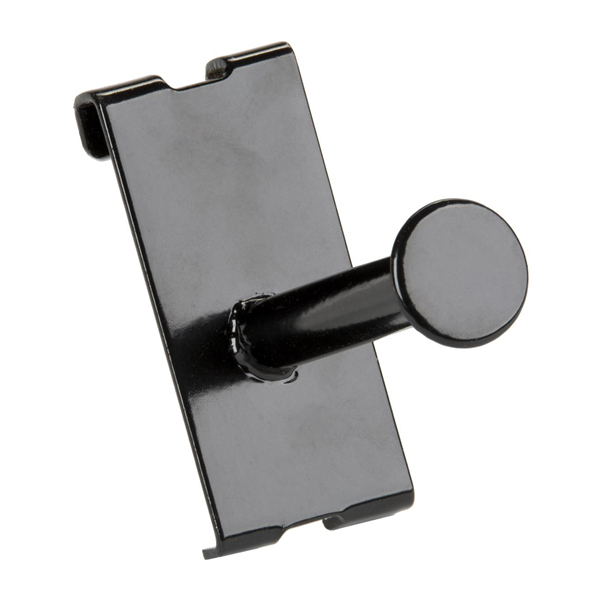 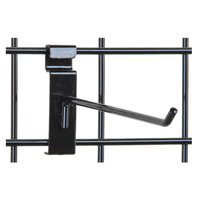 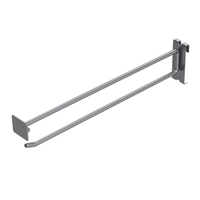 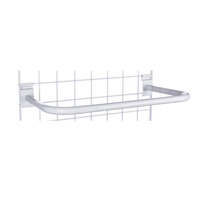 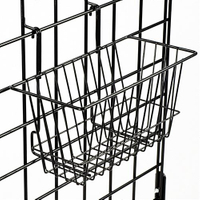 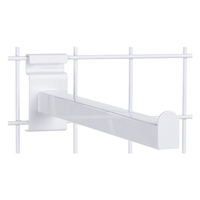 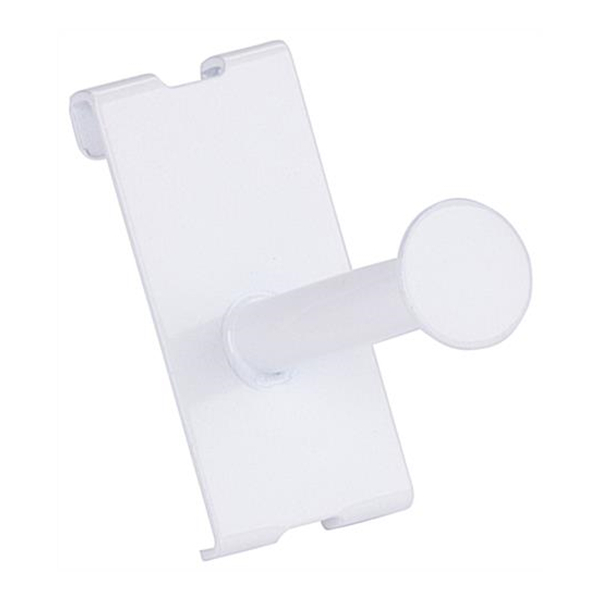 The hanger can be added, removed, or adjusted with ease by overhanging the hook onto the frame of the panel. 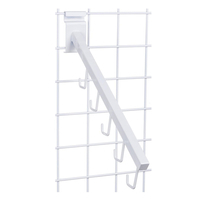 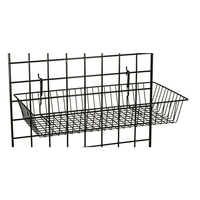 Mount clothing, accessories, or any slatwall item on this gridwall display to create an organized store fixture showcase. 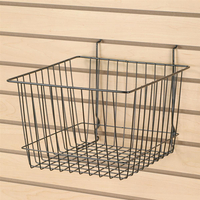 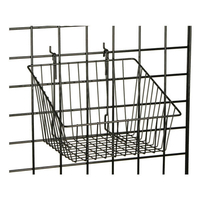 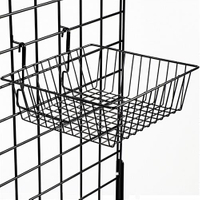 Allow for better visibility of products by using grid wall, slatwall, and pegboard racks!